This exercise to help you build Refresh Non Recurring based campaigns. Preference based campaigns, a contact meets a condition of the group used for the campaign and is sent a email. Create a new CSV file and import to a new group called your name Refresh via "Audience" and "CSV Import"
If you need help on creating a group via import CSV please see the Online Help. Create a new campaign called "your name Refresh Non Recurring"
Within the details section select the action type of "Refresh Non-recurring"
Make sure the close date is at the point you no longer wish to add in new audience members. 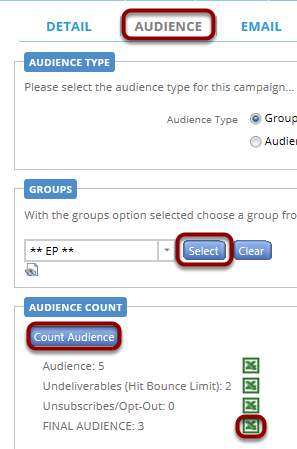 B. Browse and select your audience (If using CRM your audience should already be attached. Select the email tab, browse for an email of your choice and provide a subject line. 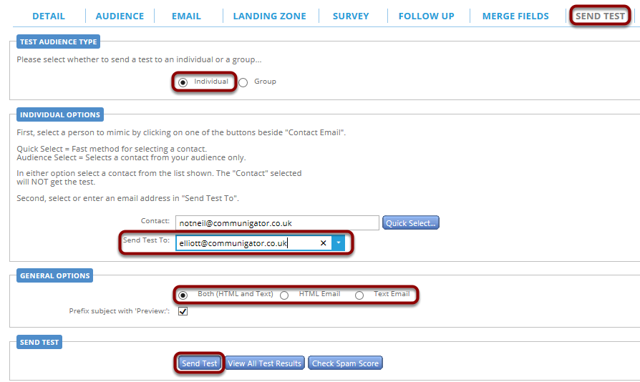 Now repeat Step 1 but this time add in a new test contact to the same audience group that is attached to your campaign. Now hang out by your inbox!